If the wagon could talk, it would tell of many exciting and sometimes perilous events. Not the least of these stories would be the ones telling of several trips to Ohio with a load of runaway slaves. The “trains” crossed into free territory at Wheeling, West Virginia, and continued on to a Friend’s home in Ohio. The drivers were two young men, selected because they were eager for adventure and because no one would be likely to suspect such young men of “slave-running.” The two youths were Andrew Murrow (1820-1908) and Isaac Stanley (1832-1927), who grew up in the home of their foster parents, Joshua and Abigail Stanley, after they had been orphaned. Actually Isaac was a nephew of Joshua Stanley. Andrew Murrow was the grandfather of Joshua Edgar Murrow (1892-1980) who reveled in hearing his grandfather tell of these dangerous and exciting journeys to Ohio. 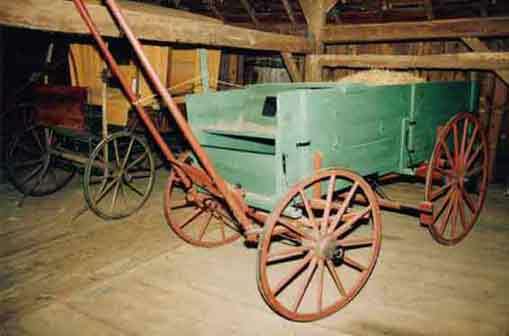 For more information about the wagon, visit the Mendenhall Plantation and/ or its website. Pat Crawford was a baseball standout for the Davidson College Wildcats at first base in the early 1920s. Also a basketball player and an honor student, Crawford went on to play major league baseball for the New York Giants, the Cincinnati Reds, and the St. Louis Cardinals. Crawford compiled a lifetime .280 batting average and was a utility player for the Cardinals’ famous “Gas House Gang,” which won the 1934 World Series. In 1937, he and his wife, Sarah, purchased a 20-acre site in Morehead City, and there operated Camp Morehead by the Sea for many years. Crawford died January 25, 1994. This baseball is one of 4 in the Davidson College collection from games in which Crawford either played or coached. This plaster cast of the skull of Peter Stuart Ney was made during an exhumation of Ney’s remains, buried in the Third Creek Presbyterian Church in Rowan County, in an attempt to settle a controversy surrounding his identity. Ney reportedly arrived in America in 1818 aboard a ship from France. After working as a teacher in North and South Carolina and for many years, Ney designed the seal for the recently founded Davidson College in 1840. Legend has it that the scholar P.S. Ney was none other than Napoleon Bonaparte’s Marshal Michel Ney. Michel Ney joined the French army in 1787 and was 20 years old when the Bastille was stormed on July 14, 1789, and he commanded the French cavalry at Waterloo. Ney’s military career, and some say his life, ended before a firing squad on December 7, 1815. Several researchers, however, believe that Ney escaped to America. Marshal Michel Ney purportedly had a silver plate in his head as a result of a war injury. No evidence of a plate appeared during the exhumation of P.S. Ney’s remains. 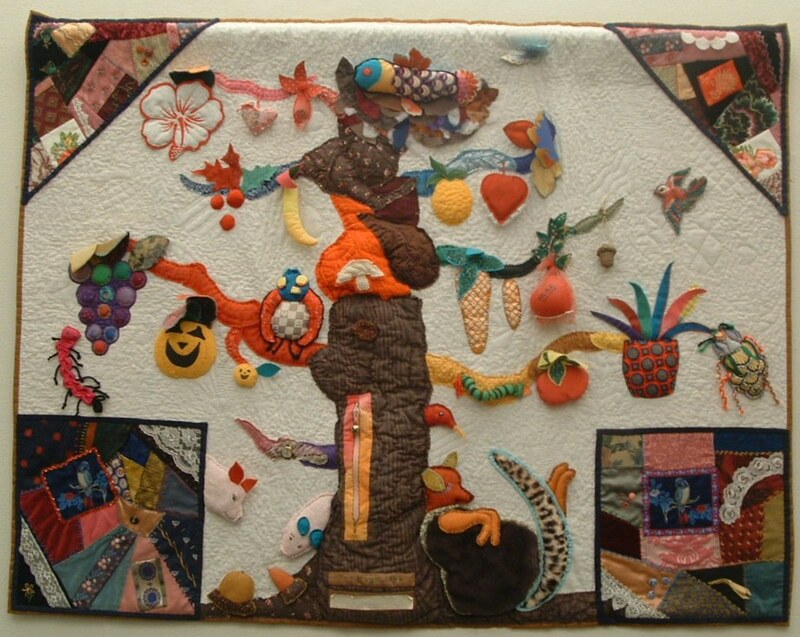 Mildred Patterson created this piece for the Touchable Art Gallery at the Duke Eye Center. Mildred had been a longtime patient at the Center and was 91 years old at the time of her donation. She deliberately included three dimensional elements, a variety of textures, and interactives like zippers and small objects in hidden pockets in her meant-to-be-touched fiber art.